Lou Vincent to be banned by ECB here is what his official statement is, He found guilty for 18 match-fixing or spot-fixing charges involving matches he played for English counties Lancashire in 2008 and Durham in 2011. 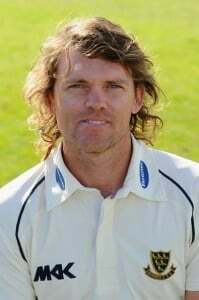 Lou Vincent, who played 23 Tests and 102 one-day’s for New Zealand before retiring in 2007, released a statement saying he accepts his punishment and he had “lived with this dark secret for so many years”, but had now decided to come forward and tell the truth. The ECB said 35-year-old Vincent had pleaded guilty to 18 breaches of the board’s anti-corruption regulations in three matches in England and had accepted the ban which barred him from playing or coaching in any form of recognized cricket. “My name is Lou Vincent and I am a cheat. he began his statement with sorrow & guilt, Eleven of the 18 offenses carried life bans for Vincent. “I have abused my position as a professional sportsman on a number of occasions by choosing to accept money in fixing, “I have lived with this dark secret for so many years, but months ago I reached the point where I decided I had to come forward and tell the truth. “It’s a truth that has rightly caused uproar and controversy in New Zealand and around the world. I have shamed my country, I have shamed my sport, I have shamed those close to me. And for that, I am not proud” He added. “I lost faith in myself, in the game, I abused the game I loved. I had to put things right. “Speaking out, exposing the truth, laying bare the things I have done wrong, is the only way I could find to begin to put things right. “The time has come for me now to face them like a man and accept the consequences – whatever they may be. “I could not live with my wrongdoings any longer and after meeting my future wife Susie, after learning what unconditional love really is, I felt strong enough to tell her what I’d done and she has helped me take the painful steps in telling my parents, my wider family and then the authorities. “I am proud of the ones I love, especially my immediate family and friends. Their strength, support and forgiveness has enabled me to address some of the deepest, most uncomfortable issues one can face. “I can finally look my children in the eyes and tell them that honesty is the best policy – even if it feels like the hardest thing to do at times. “I now believe in myself as a person again and I don’t wake up every morning hating myself. “Today is the day I offer my deepest, deepest apologies to the public and the cricketing world, to the loyal fans, to the dedicated coaches, staff, players past and present. “I apologise to and thank the ACSU for the help and support that is out there for all players, that has helped me a great deal, Chris Morris and his legal team and all the associations that have handled the sensitive situation with professionalism and respect. “The people who know me know I’m vulnerable, but they also know that I am not stupid. And I know what is right and what is wrong. “I do suffer from depression – that is absolutely no excuse for all I’ve done wrong. “I used to think mistakes were made by bad people, but now I even know that good people can make the worst of mistakes. “My actions I will regret for the rest of my life. “For sport to prosper, it is up to players to police the game, because they are the ones that will ultimately lose out and allow themselves to be used as pawns to make money. “No one should ever be put in a position and no one should ever allow themselves to forget what sport is about and let money rule their decisions. “The decisions I made were wrong. Players must be better than that; above reproach, for the fans, for the sport. Vincent, representing Auckland Aces, also tried to “corrupt” two matches in the 2012 edition of the Champions League Twenty20 tournament, its organisers said on Tuesday. The top-order attacking batsman & fielder has already been banned by the Bangladesh Cricket Board for three years for failing to report an approach from match fixers when he played for the Khulna Royal Bengals in the 2013 BPL season. “For the first time in a very long time I feel positive about my future, I am finally becoming the man I want to be. I have to face up to my wrongs and make them right. “I have kept my head down for too long now and it’s time to man up to my mistakes and today, I can stand with a better conscience because I know I am doing the right thing. “It is entirely my fault and I’ll never be able to stand in front of a game again, it’s entirely my fault that I will not be able to apply my skills in a positive way to help future cricketers, but it is entirely possible that I can use this moment to convince others not to be tempted by wrongdoing. “To do the right thing for themselves, for family and friends and for the sport they love. Shahbaz Patel ( Born; June 19, 1990) is an Global Service Enhancement Manager at VEGA . He holds diploma in Electronics & Telecommunication from L&T Institute of Technology. Raised in Mumbai, from childhood he enjoyed watching cricket as much as he likes to play cricket. Shahbaz loves motorcycle riding & he loves to travel across the states. He has rode the highest motor-able road in June 2013. With Riding, Driving & Cricket he also enjoys music mostly Pop, Rap & Rock. Touring, Electronics gadget & Automobiles excites him more. He dreams & he chase it, he strongly believes in law of attractions.